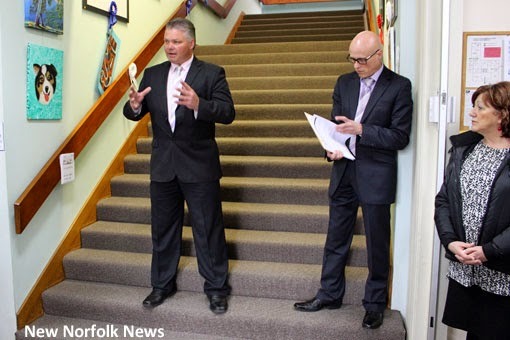 STRUCTURAL changes and increased community interest had resulted in "grubbier" council election than in the past, outgoing councillor Tony Nicholson said during today's declaration of the poll ceremony at New Norfolk. Addressing the gathering of successful and unsuccessful candidates and council staff, the former Derwent Valley mayor said local government was always evolving and the new council would face a number of changes. In particular, newly-elected councillors would have the challenge of living up to the promises made during the campaign. After the ceremony, Mr Nicholson said it would not be an exaggeration to say gutter politics had been a feature of the election campaign. The ceremony was the first of its kind to be held in New Norfolk under the present Local Government Act (1993) and possibly the first ever. 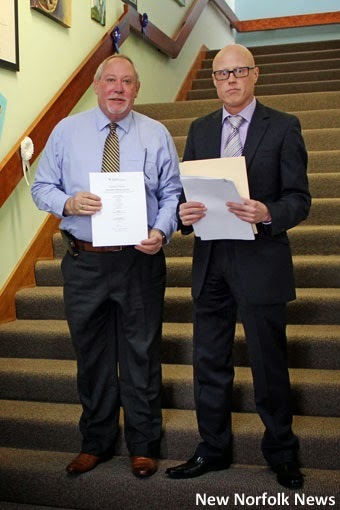 Returning officer Dale Emery from the Tasmanian Electoral Commission made a formal announcement of the election result and presented the certificate of election to council general manager Stephen Mackey. Mr Emery read the list of 19 candidates and the number of votes received by each, before going on to declare Martyn Evans, Paul Belcher, Julie Triffett, Ben Shaw, Damian Bester, Frank Pearce, James Graham and Barry Lathey to be duly elected. Mr Emery repeated the process in declaring Martyn Evans re-elected as mayor and Ben Shaw elected as deputy mayor. Mr Emery said there had been great interest in this year's inaugural all-in all-out election and he thanked council staff Debbie Hutchinson and Jess Dallas for their support. Commencing his third term as mayor, Councillor Martyn Evans congratulated those who had been elected and thanked those who had served until now. New councillor Ben Shaw said he was both humbled and proud to take up the position of deputy mayor. He described the new eight-member council as a great team and said an informal gathering had already been held. He thanked all former councillors for their service and urged them to remain active in community life. Outgoing deputy mayor Barry Lathey said he felt fortunate to have been returned as a councillor and expressed concern about the decision to reduce the council from nine seats. "We now have eight councillors and if a vote is tied it is lost," Cr Lathey said. Despite that change, he described the new council as a good mixture of four new councillors and four experienced members. Grubby politics T Nicholson? In what way? Easy to make bland statements when you're a disgruntled loser but how about providing examples? May the new council really form a good team and not display self-promoting attitudes formerly shown by some. Work hard to ensure council fulfil your decisions. 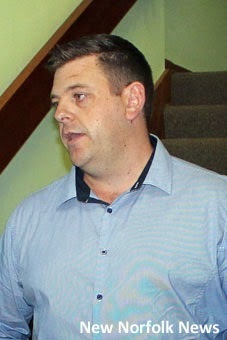 Damon Thomas exhibited the same sense of entitlement in his comments over being sacked. Tony Nicholson needs to realise the only reason he was sacked is that he failed to perform. Accept the fact and stop trying to blame others while producing no evidence. To be fair, no councillors have been "sacked". Fifteen candidates in the Derwent Valley Council election, including five councillors, were unsuccessful but none were sacked as such. This contrasts with the situation in 1996 when councillors were indeed sacked before the completion of their term in office.